Individual rooms of the castle are decorated with antique furniture from Renaissance to Biedermeier. 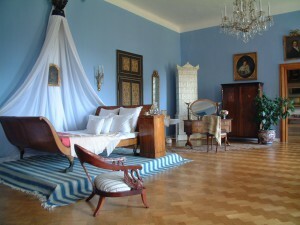 The collection of paintings consist of originals by Karel Škréta, Lucas van Valckenborg and J.H. Schönfeld. 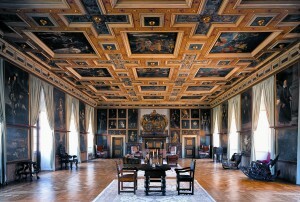 The dining room, called the Tobias Hall, is so named because it has the tale of the Jew Tobias painted on the ceiling. 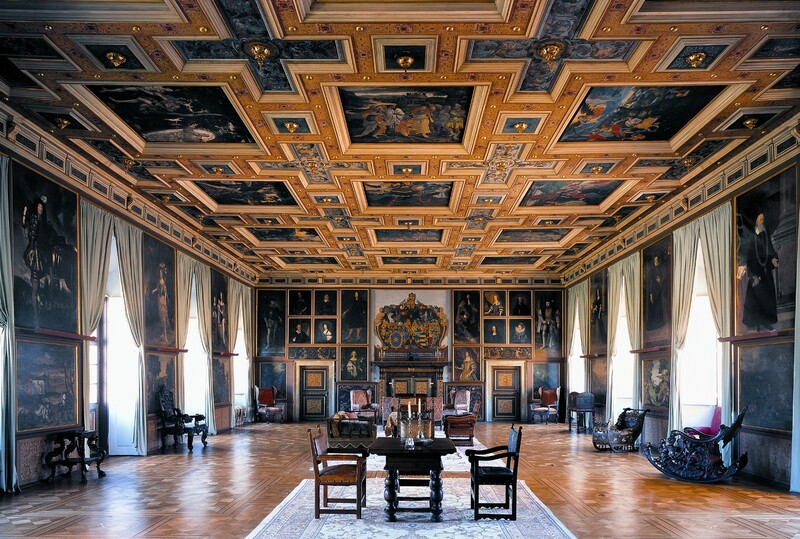 It is one of the four rooms in the castle with painted coffered ceilings from the 16th century. 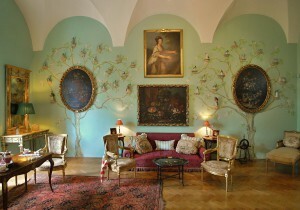 On the walls hang life size portraits of the Czech rulers. Today the hall can be used for important events, for example, it was chosen in 2002 by president Václav Havel for the meeting of the four presidents: Hungarian, Polish, Slovak and Czech. 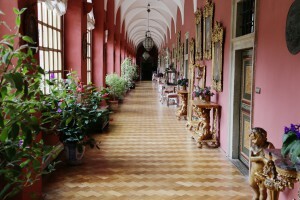 The Knight´s hall is one of the largest halls in the Czech Republic (300 m 2). The ceiling is decorated with paintings of scenes from The Old Testament. Part of the Knight’s hall is the Chapel, where there is a Tyrolean altar piece dated 1601. 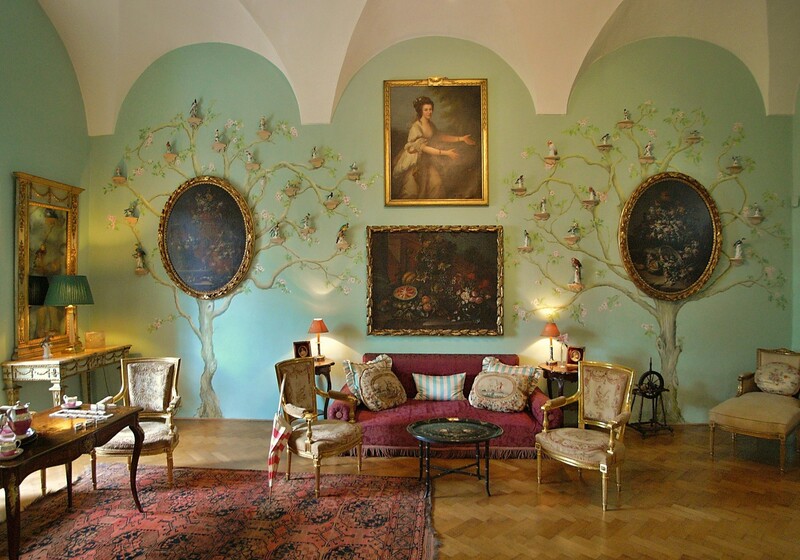 The owner of the castle, Diana Phipps Sternberg, a well known interior decorator, pays great attention to the presentation of the castle and park. She endeavours to make visitors feel they are visiting in her home instead of in a museum.